Please do not order any more of this CD as it is out of stock. Price £12 including p & p. Please pay by Pay Pal using the Buy Now button. 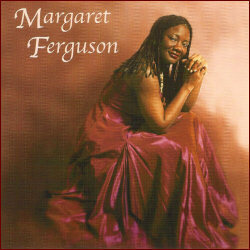 Or, if by cheque, make payable to ‘Margaret Ferguson.’ See Contact page for address. If you would like Margaret to sign the CD please leave instructions in "Add special instructions to the seller," including any special wording, on the Pay Pal page, or include with cheque.